#SHINESEASON ARRIVES A WEEK EARLY! 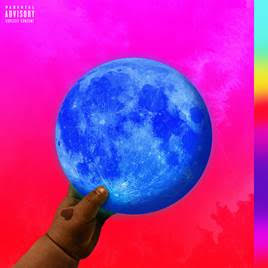 WALE’S FIFTH STUDIO ALBUM SHINE AVAILABLE EVERYWHERE NOW!!!!! The Washington D.C. bred rap superstar broke the news of the early release date during last night’s 1633 x Genius Album Listening and Live Annotation Experience, moderated by Genius’ Rob Markman. The experience saw Wale playing unreleased music from SHINE and breaking down and sharing the meanings behind the lyrics as only he can. In addition to die-hard fans and industry tastemakers, guests included Joe Budden, Remy Ma and Papoose, Aminé and Maybach Music boss Rick Ross. The Grammy-nominated superstar capped off the night by joining Rick Ross for an electrifying performance of his hit “Trap Trap Trap” on The Tonight Show Starring Jimmy Fallon. Watch the performance here. Wale will celebrate the release of “SHINE” with a major U.S. headline tour. “THE SHINE TOUR” begins Friday, May 5th at The Tabernacle in Atlanta, GA and continues through the month, wrapping in Washington, D.C. For complete details and ticket information, please see www.walemusic.com/tour.